One of the most common challenges that fresh graduates and students experience when applying for a job would be minimal work experience. The best solution would be to customize your resume accordingly in order to attract the attention of hiring managers. We all want to make our resumes creative, so that it’ll catch an attention of employer. But make sure to not go overboard. “I think they’re telling them ‘make your resume stand out’ and they’re interpreting that as USE GLITTER!” says Amanda Horne, Director of Student Engagement at Stephen F. Austin State University in Texas. And she’s right. Instead of paying much attention to the visual side of your resume, concentrate on it’s content. To make winning resume for student, you must include objectives; this will enable your audience to get a preview of your goals allowing them to determine if you are fit for the position. Employers only spend minutes scanning resumes so you should be able to take advantage of well written resume in order to ensure an interview. The main purpose of your objectives is to tell hiring managers which areas of your expertise and skills they can utilize and aspects that you wish to develop. A properly crafted resume for student can go a long way especially if you are vying for a competitive position and/or company. Seeking an entry level position where I can provide the company my knowledge, skills and interest while simultaneously learn from qualified leaders and co-workers. To get a job that will utilize my expertise in standard operation procedures at customer services and extensive clerical skills that will help provide top notch support services to diverse clients. Desire a position at best marketing company that will help me improve my marketing and sales skills. To acquire knowledge how the company works in terms of business strategies and techniques and utilize my proficiency in providing fresh ideas and solutions to various marketing issues. To obtain a position in the best school that will enable me to showcase my teaching skills and ability to manage and engage students through innovative educational techniques. Avail Premium Quality Resume Format for Students Online With Us! The most common format of your resume objective would be to start with the title of the position, you can include phrases like “entry level position”, “commitment to meet the company’s standards”, or “offer fresh, innovative ideas to the company”. The main purpose of your objective would be to catch the attention of your potential employers so avoid lengthy objectives instead make sure that this is a one statement line that offers clear and concise career goals, quality and job expectations. 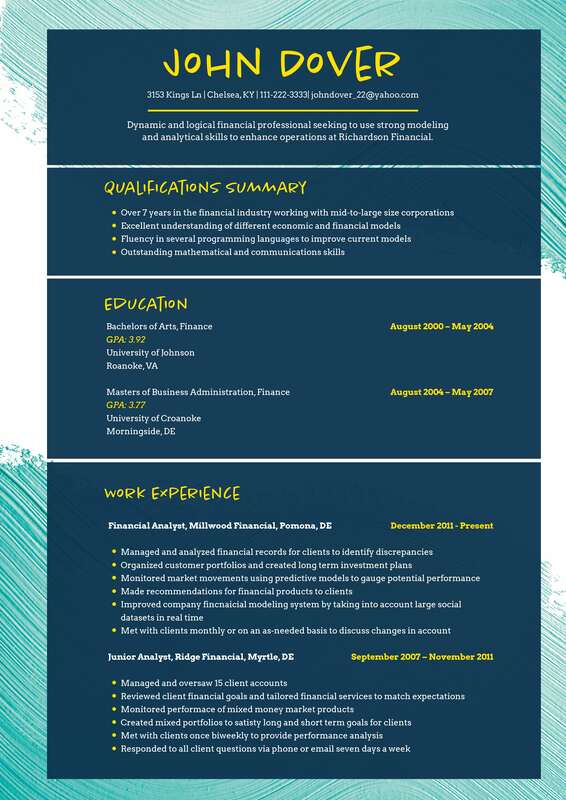 For those who have difficulty with their resume format for students, make sure that you seek help from professionals as they can provide you with excellent input. Submit only a winning resume for student with relevant objectives to maximize the impact of your application.